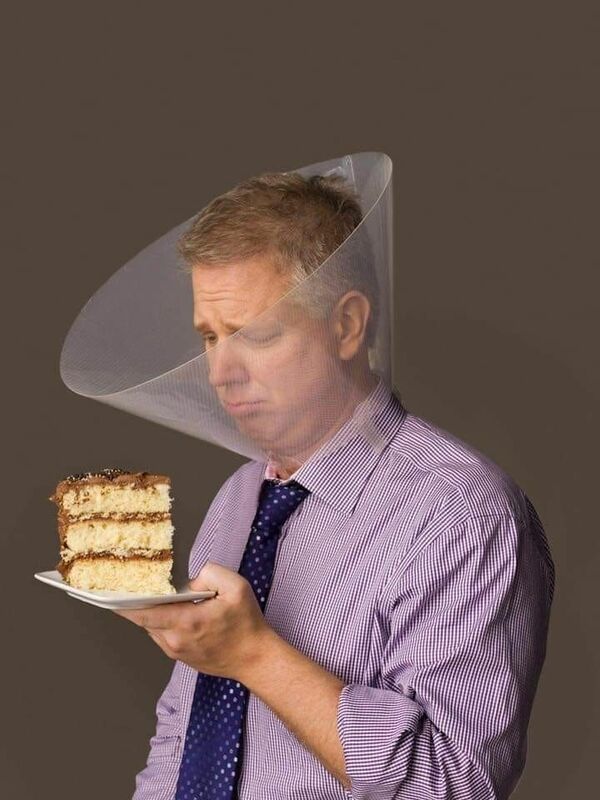 Glenn hasn't mentioned what he had planned for his birthday, but an educated guess might conclude it did not involve cake. 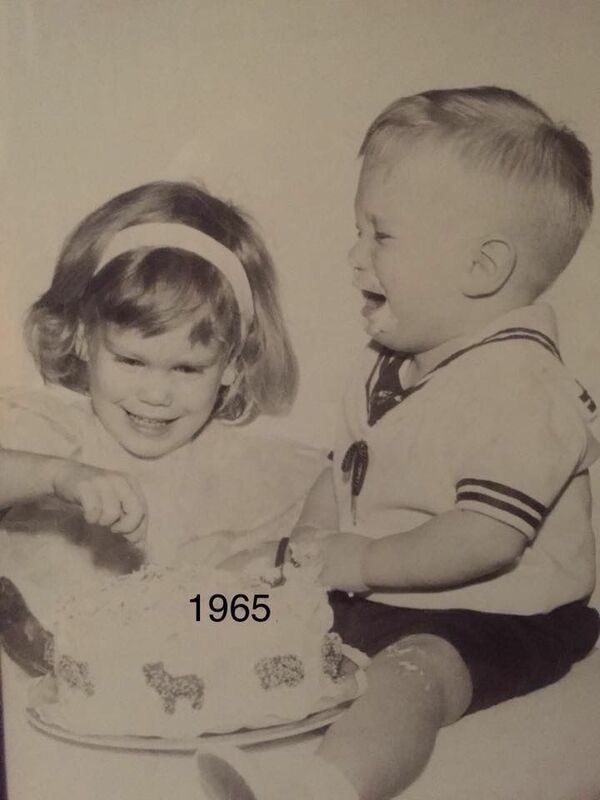 As this childhood birthday photograph attests, nobody loves Glenn more than his big sister, Michelle. Longtime listeners know that Glenn and Pat exchange the same pair of pants as a gift each year and have done so for decades. They may be the ugliest pair of pants ever designed, but they will live on in infamy on the Glenn Beck Program. 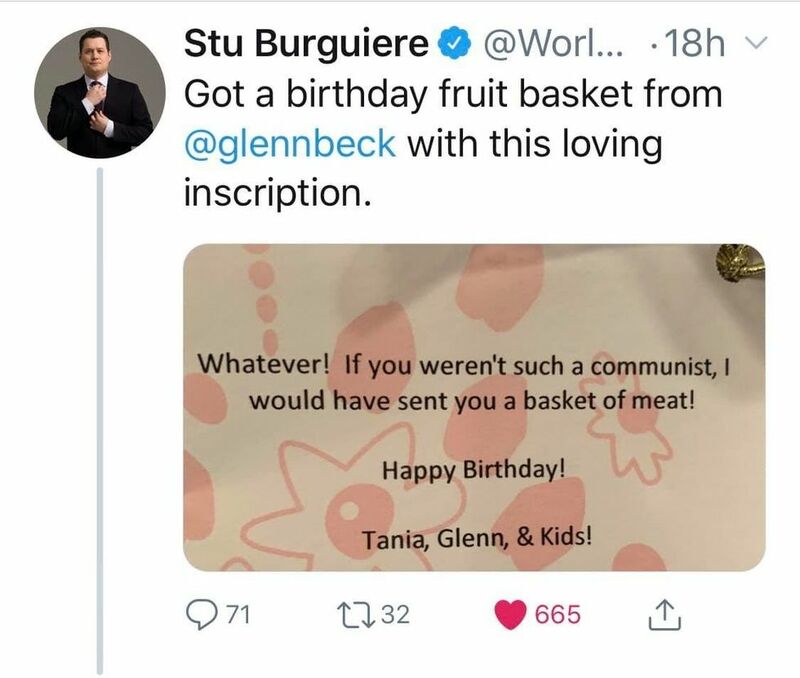 That's all fun and games but have you ever wondered what Glenn gives Stu as a gift?